I am not sure right now what to call this flower I was originally going for a ranunculus. 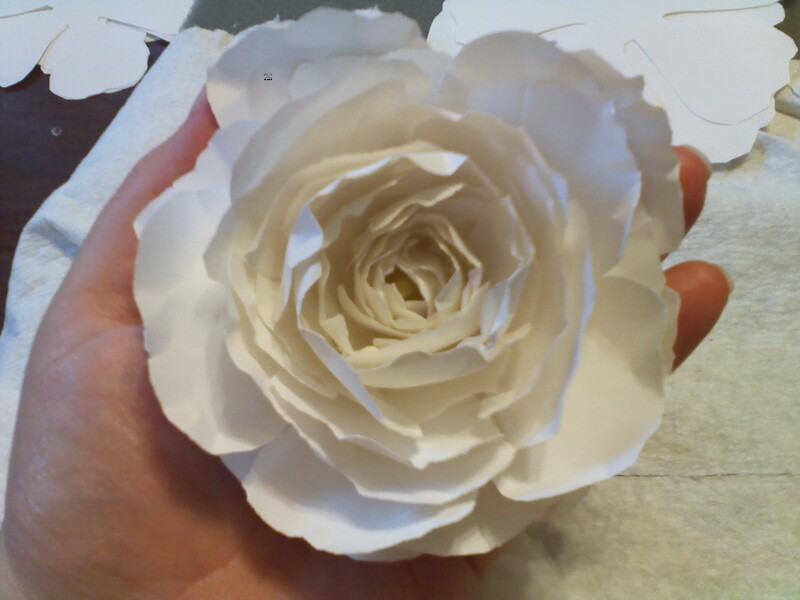 This kinda looks like a rose/ peony. Print your templates Make sure to "scale to fit page" when printing. I used decrease margins too. 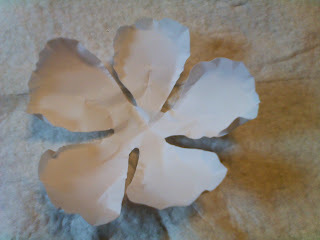 Use 2 sheets of paper for every flower. I can cut 8 flowers out at a time...but this will depend on your scissors. 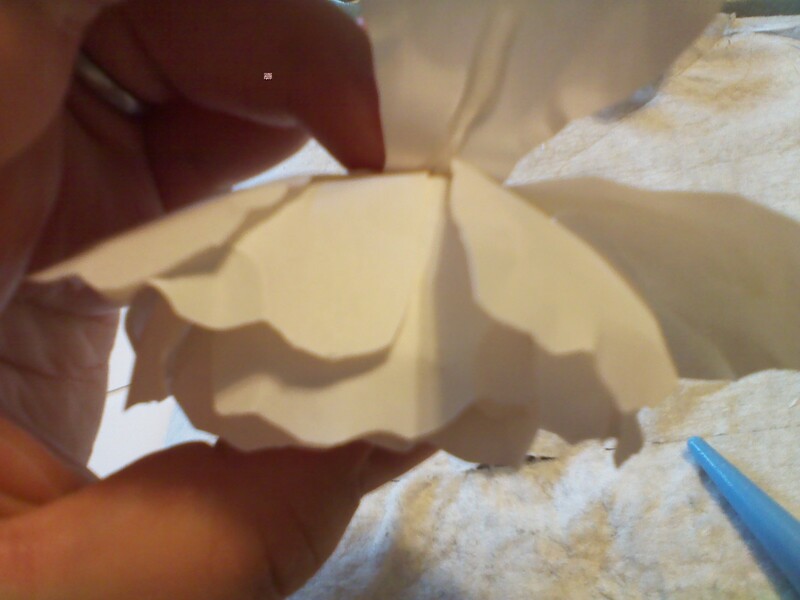 I also cut on the out side line rather than inside...I like big flowers :)I know I sacrifice the top sheet! This is where the magic happens. 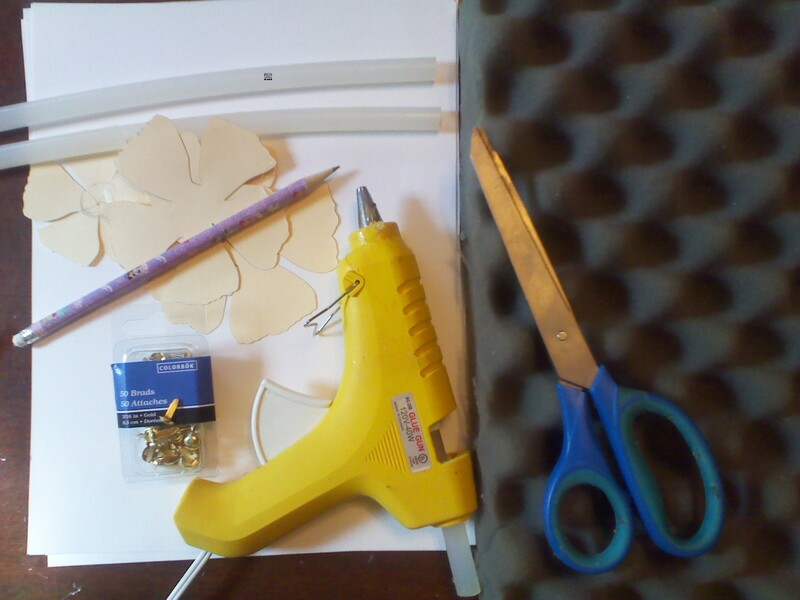 Get your foam and your round ended tool (I used a kid toy shhhhh)Working on the flat side. 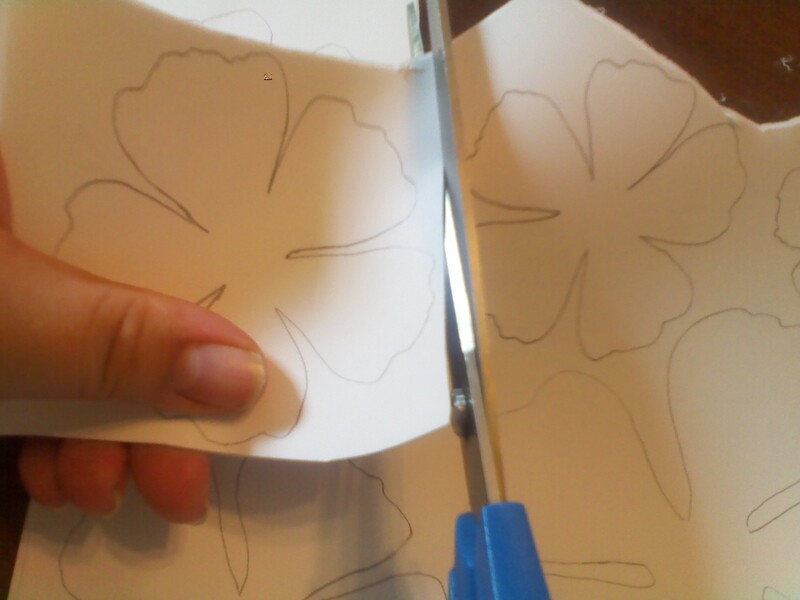 Move the tool along the edge of your petals pressing fairly hard. 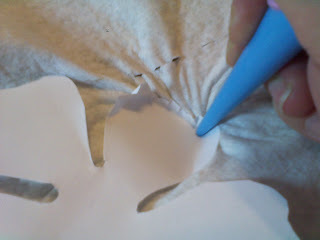 Now you have piles of crinkled paper. 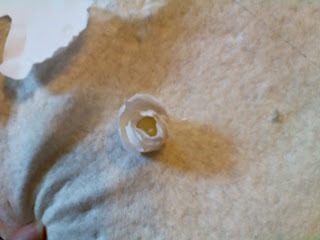 Get your brat and both of your 1 petals (the smallest) pierce them and secure the brat (your flowers center). Make a cabbage and glue the petals together. Be careful not to burn yourself! Add layers to the "cabbage" by gluing the top of each petal and forming around your center. 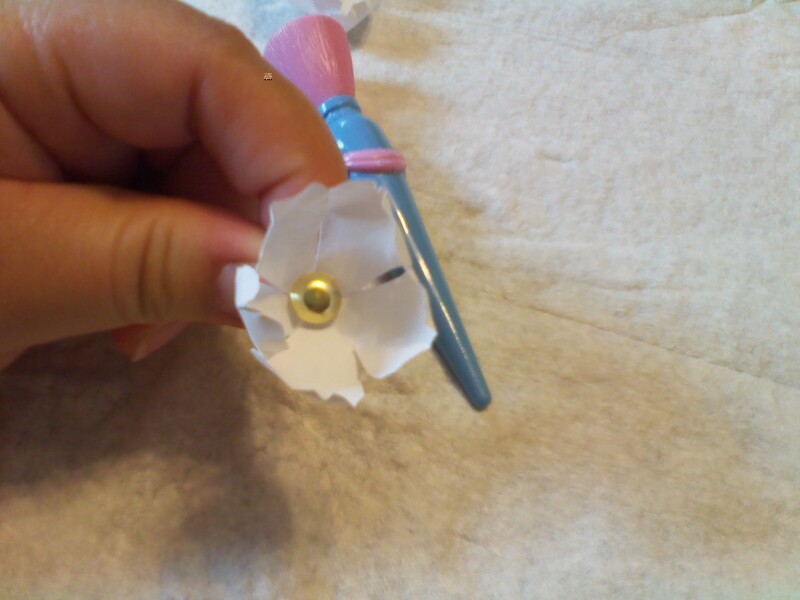 Gradually apply less glue to let the flower open. 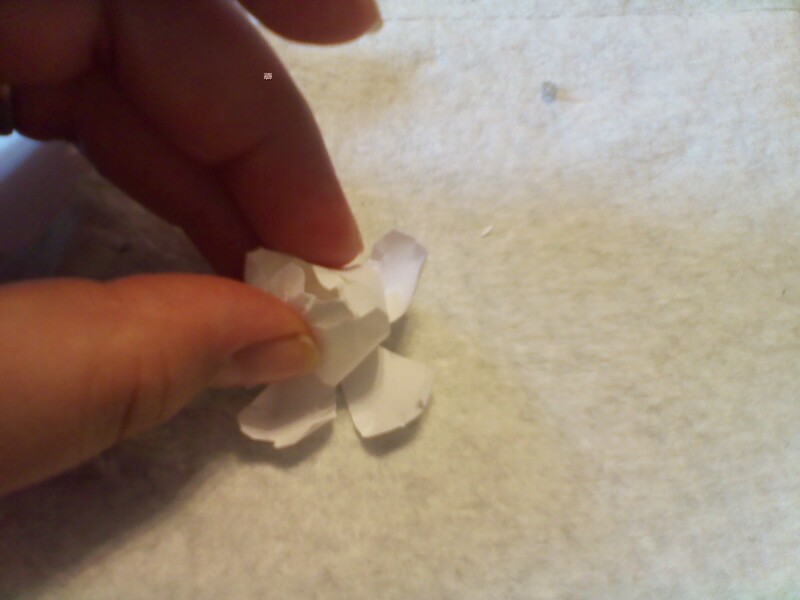 Glue and press your flower down on each new layer. 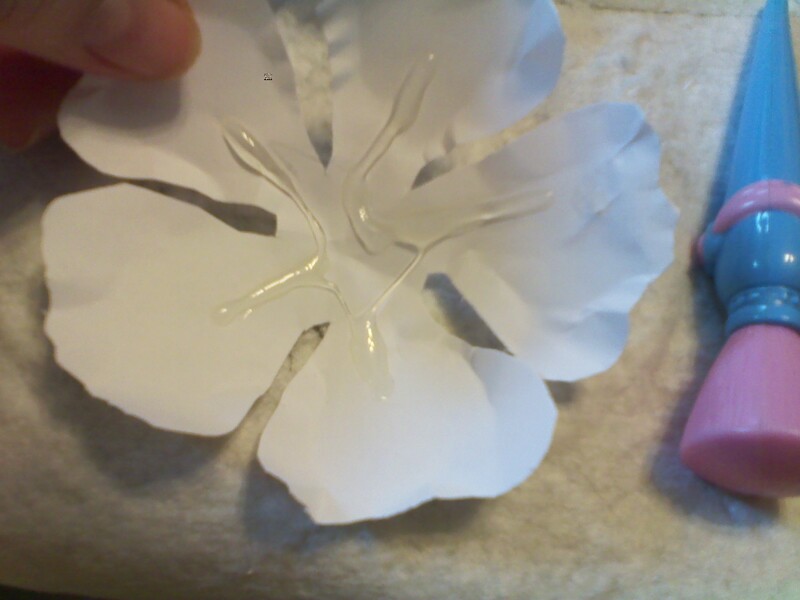 Remember to over lap the layers or your flower will look funny. Who knew just 2 pieces of printer paper could be so beautiful. You can add stems to your flowers by replacing the brat with floral wire and pierce through all the layers... Add stamens or a jewel. Well Done! 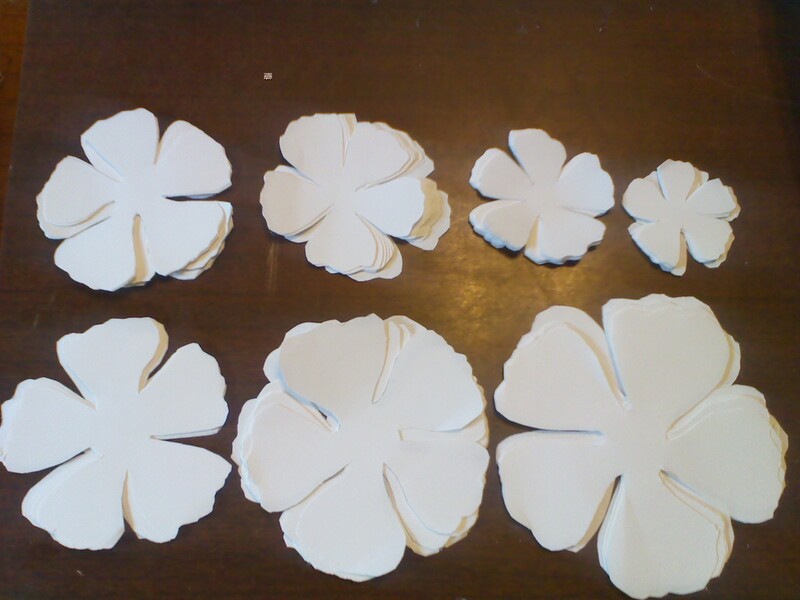 You got some great shots of the assembling process:) The end blossoms are absolutely beautiful. 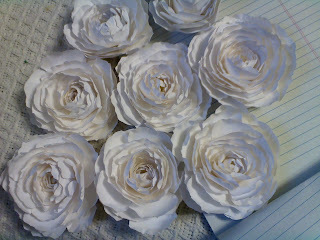 Be sure to share photos of the blooms from the wedding! I LOVE this tutorial. Totally found it randomly and just adore it. I made some for myself at home and linked to it in a blog post I published today. Thanks for sharing. I love your flower design and great tutorial. 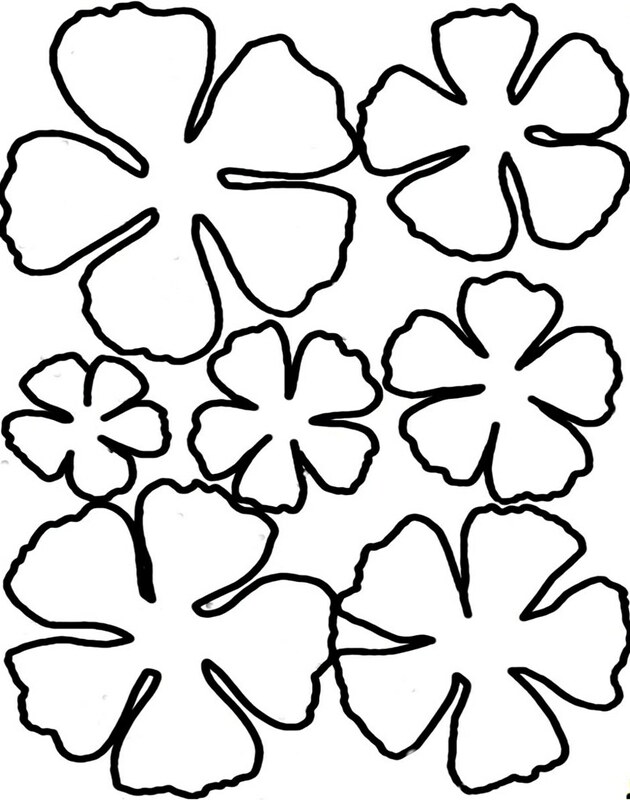 However, the metal piece in the middle of the flower is called a "brad" not a brat. Those will be the obnoxious children running around causing havoc at your wedding. I am anxious to get started making these flowers. FANTASTIC tutorial! 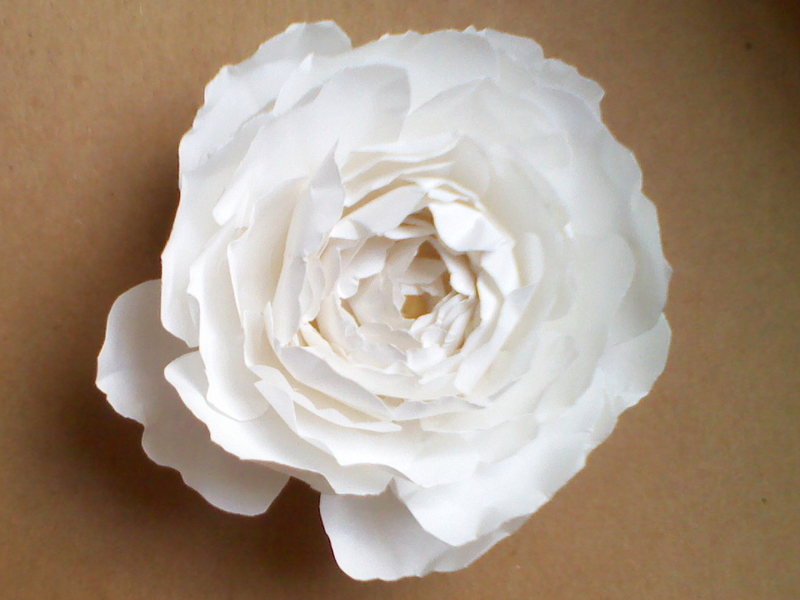 i have just made this flower and it looks BEAUTIFUL. many thanks! 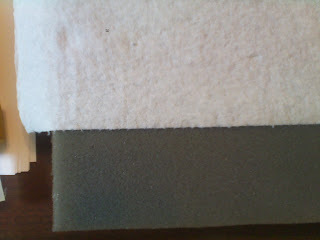 Am going to try this out of scrapbook paper or tissue for a journal! Great photos, it must be memorable wedding day for ever. Absolutely fantastic! I want to also try to build them from fabric for wardrobe accents! Thanks so much!! Just wondering what is a brat? And what type of paper you used? Cardstock? a brad (not brat) brass fastener, paper fastener or split pin is a stationery item used for securing multiple sheets of paper together. ... 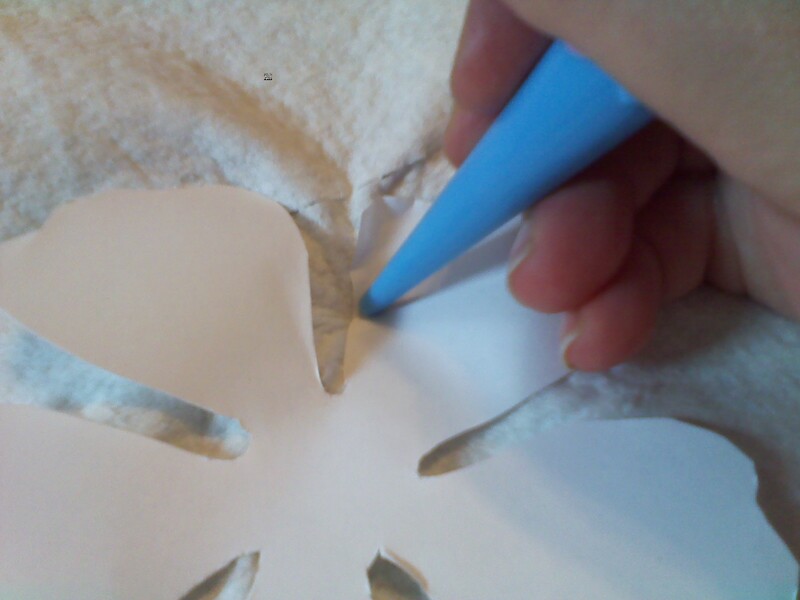 The fastener is inserted into punched holes in the stack of paper, and the leaves, or tines, of the legs are separated and bent over to secure the paper.